Tarun Jeloka, RK Sharma, A Gupta, Sharma, DK Agarwal, S Gulati. Spectrum of ARF in a Tertiary Care Center. Indian Journal of Nephrology (abstract) 2000; 10(3): 139. 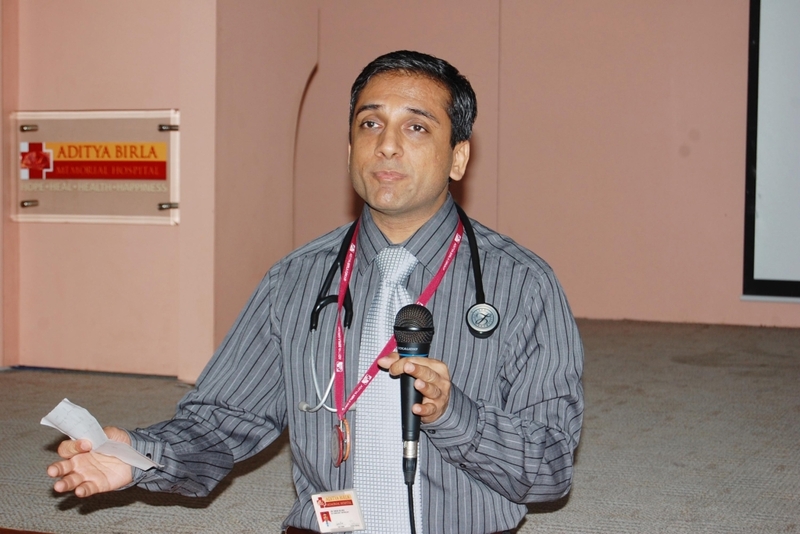 Tarun Jeloka, S Gulati, Pitfalls in the management of bacteriuria in children. Ind J of Pract Pediar 2001; 3(3): 238 - 241. Tarun Jeloka, Mathur MD, Kaur R, Kohli R, Singh NP, Rizvi SNA. 2 Microglobulin, chronic renal failure and effect of different dialyzer membrane on its clearance. Indian Journal of Nephrology 2001; 11(4): 160 - 164. Tarun Jeloka, Senthilnathan MS, Sharma RK, Gupta, Pradhan PK, Das BK. Determination of Peritoneal Membrane Characteristics using 99m Tc-DTPA. Indian Journal of Nephrology (abstract) 2001; 11(3): 131 - 132. Sharma RK, Tarun Jeloka, A Gupta A et al. Peritoneal Equilibration Test using the Radiopharmaceutical Diethyl tetraamine pentaacetate (DTPA). Perit.Dial.Int. 2003; 23(5): 510 - 511. Sharma R K, Prakash R, Tarun Jeloka et al. Post transplant Diabetes Mellitus in renal transplant recepients– A Single center experience. Trans Proc 2003; 35(1): 266 - 267. RK Sharma, Tarun Jeloka, A Gupta, S Gulati, S Gupta, A P Sharma, A kumar, M Bhandari. Role of Alendronate on post transplant osteoporosis: A Randomized study. Nephrol Dial Transpl (abstract) 2003; 18(4): 249. Sharma RK, Tarun Jeloka, Gupta A, Senthilnathan MS, Pradhan PK , Das BK. Peritoneal Equilibration Test using a radiopharmaceutical, DTPA. Nephrol Dial Transpl (abstract) 2003; 18(4): 477. Das BK, Senthilnathan MS, Pradhan PK, Nagabhushan S, Tarun Jeloka, Sharma RK. Comparison of peritoneal equilibration test with 99mTc-DTPA excretion in the assessment of peritoneal permeability. Eur J Nucl Med Mol Imaging. 2004; 31(5): 710 - 3. Nayak KS, Tarun Jeloka, Sreepada SV. Sirolimus-induced pneumonitis, sinusitis and macular oedema. Nephrol Dial Transplant. 2004 Nov; 19(11): 2931. Tarun Jeloka, Oreopoulos DG. Is Ultrafiltration with icodextrin higher in diabetics than non-diabetics? Perit Dial Int 2006; 26(6): 729 –30. Tarun Jeloka, Ross H, Cardella C, Cole E. Renal transplant outcome in high-cardiovascular risk recipients. Clin Transplant 2007; 21(5): 609-14. Ahmad M, Tarun Jeloka, Bargman JM, Oreopoulos DG. Icodextrin produces higher ultrafiltration in diabetic than in non-diabeticpatients on cycler peritoneal dialysis. Int Urol Nephrol 2008; 40(1): 219-23. Jagtap R, Sethi R, Tarun Jeloka. Hepatitis A leading to myocarditis. J Assoc Physicians India 2008; 56: 391-2. Tarun Jeloka. “Icodextrin alone” for initiation of peritoneal dialysis. Perit Dial Int 2008; 28(5): 563-4. Venturoli D, Tarun Jeloka, Ersoy FF, Rippe B, Oreopoulos DG. The variability in ultrafiltration achieved with icodextrin, possibly explained. Perit Dial Int. 2009; 29(4):415-21. Tarun Jeloka. No need for an ‘expiry date’ in chronic peritoneal dialysis to prevent encapsulating peritoneal sclerosis: comments from around the world. Int Urol Nephrol 2010; 42 (1): 247. Tarun Jeloka, Jhamnani A. Survival of elderly dialysis patients – A single center study from India. JAPI 2011; 59: 412-414. Tarun Jeloka, Shrividay S, Wagholikar G. Catheter outflow obstruction due to an aspergilloma. Perit Dial Int. 2011; 31 (2): 211-2. Tarun Jeloka, Upase S, Chitikeshi S. Monthly cost of three exchanges a day peritoneal dialysis is same as of thrice a week hemodialysis in self paying Indian patients. IJN 2012; 22 (1): 39-41. Tarun Jeloka, Mali M, Jhamnani A, Konde S, Jadhav V. Are we over concerned about secondary hyperparathyroidism and underestimating the more common secondary hypoparathyroidism in our dialysis patients? JAPI 2012; 60: 102-105. Abraham J, Gupta A, Jeloka T, et al. Peritoneal dialysis-Peritonitis in India study: An interim analysis of baseline data. IJPD 2012; 22: 8-14. Jhamnani A, Tarun Jeloka. Leflunomide in the treatment of BK virus nephropathy in a renal transplant recipient: A case report and review of the literature of treatment options. IJT 2012; 6: 64-66. Tarun Jeloka, Dharmatti G, Jamdade T, Pandit M. Are oral protein supplements helpful in the management of malnutrition in dialysis patients? IJN 2013; 23: 1-4. Tarun Jeloka, Sanwaria P, Chaudhari L, Pereira A. “Ico alone” single nocturnal exchange to initiate peritoneal dialysis in patients with residual renal function – Five year single center experience. IJN 2013; 23(4):276-79. Tarun Jeloka, Toraskar D, Sanwaria P, Niture S. Regular monthly prescription with knowledge of each medicine may improve drug compliance in hemodialysis patients. IJN 2014; 24(2): 131-2. Tarun Jeloka. CAPD for Indian patients – Is it a viable option? Medicine Update 2015; 25: 453-57. Joshi V, Mulay A, Dighe T, Tarun Jeloka, Biwalkar V. Validity of Marathi translated kidney disease Quality of life short form KDQOL – SF TM. JEBMH 2015; 2(4): 409-20. ISN guidelines for vaccination in chronic kidney disease. IJN 2016; 26 (7): 1-30. Tarun Jeloka, D.G. Oreopoulos. Calcimimetics: A new class of drug for treatment of uremic secondary hyperparathyroidism. Nephrology Rounds, 5 (8), 2004. Tarun Jeloka. Preemptive renal transplantation. Nephrology Rounds, 5 (10), 2004. Tarun Jeloka. Calciphylaxis – changing concepts. Nephrology Rounds, 6 (5), 2005.